And the flaign is still inserting spaces above for some reason. 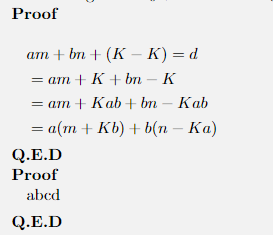 The bottom proofln is also doing weird - the spacing between content and "Proof" and content and "Q.E.D" is not equal. Browse other questions tagged spacing equations margins flalign or ask your own question.